Women’s fashion magazine Elle has launched a promotion across the US that makes use of Bluetooth Low Energy (BLE) beacons and geofence technology to trigger exclusive content and offers in a shopper’s smartphone when they are within range of a participating store partner. The shopper marketing initiative will run until the end of September to promote the magazine’s 30th anniversary issue, and is expected to reach 27m consumers via their mobile phones. The ‘Shop Now! 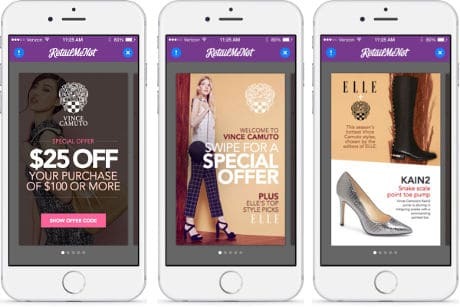 With Elle’ service has been put in place in partnership with personal shopping app ShopAdvisor, beacon marketing platform provider Swirl Networks and its publishing partner RetailMeNot. It will also be activated at newsstands across 640 Barnes & Noble stores nationwide. Retail brand advertising partners for the program include Levi’s, Vince Camuto and Guess. “The dedicated Shop Now! With Elle experience within the ShopAdvisor app gives consumers the chance to shop Elle’s September issue from their phone, explore mobile boutiques, find the retail store closest to them, get exclusive offers based on where they are and what they love, receive updates from their favourite brands and win a fall shopping package,” Elle says.